Thereâ€™s a phrase youâ€™ll find in just about any cookbook, cooking show, or family recipe: Remove from the oven once the top is browned. Or Wait until it is golden brown and delicious. That delicious browning is all due to one set of chemical reactions: Maillard. No, not mallard (though weâ€™re big fans of golden brown roast duck). The Maillard reactions refer to the phenomena that cause the browning on the outside of your favorite dishes, while adding an additional layer of flavor. Named after the French chemist Louis-Camille Maillard, the Maillard reactions were discovered accidentally in a 1912 science experiment. While experimenting with glycerol, Maillard found that when sugars were heated with amino acids, a beautiful brown color appeared along with hundreds of different flavor profiles. And thus the Maillard reactionsâ€Šâ€”â€Šalso known as the â€œBrowning Reactionsâ€�â€Šâ€”â€Šwere born. 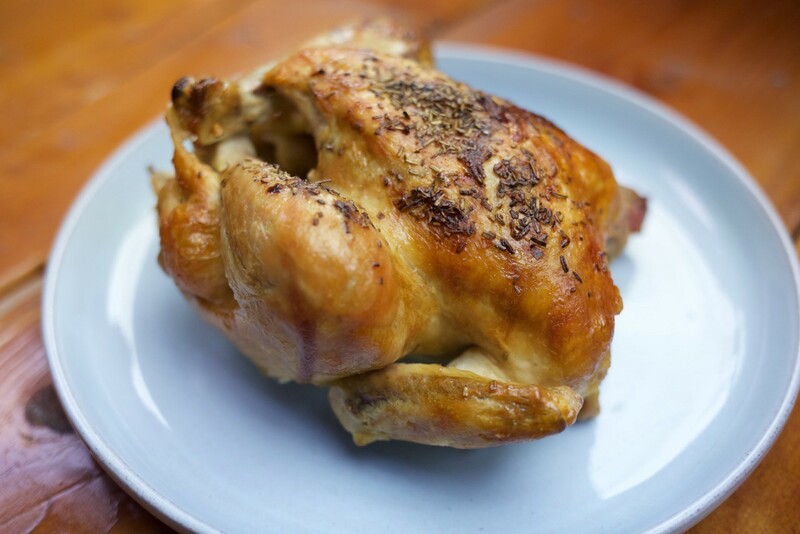 The Maillard reactions are what make crispy fried chicken wonderful, make coffee so delicious upon roasting, and give you that â€œgolden brownâ€� color and crust on any number of your favorite dishes. Youâ€™re more familiar with the Maillard reactions than you think. They happen all of the timeâ€Šâ€”â€Šwhen you put a piece of steak on the grill, when you throw a chicken in the oven, or even when you toast a piece of bread. While the reactions create a golden brown color on every food in which they occur, the flavors they produce are always different. What determines the resulting flavors are the type of amino acids that make up the reactions. So the Maillard reactions taste different in every food, from cookies to sâ€™mores, black garlic, and even beer! To honor Maillardâ€™s scientific roots, weâ€™ll explain his reactions once more in a simple mathematical equation: high heat + food = golden brown color + new delicious flavors and aromas. So the next time youâ€™re paging through recipes, eating out, or cooking and waiting until golden brown and delicious, you can thank Louis-Camille Maillard for his serendipitous mistake.